Two souls return to earth as strangers and despite impossible circumstances mangage to find each other and connect. We follow them here from lifetime to lifetime. Previously, Valerius was called into action on the road home to the village as soldiers on horseback carrying wounded men threatened to disrupt the party he was with. Valerius intervened and offered his services as a physician. He proved to be effective. He treated the wounded and the soldiers were on their way. Trellitia and Julia continued their converstation and Julia began to understand some of what Trellitia explained to her about the perception of others concerning Julia's visions. We continue know as Julia and Trellitia continue their discussion. "Julia, how is that Valerius is at my home in one form and in a tree here with you in another form at the same time? Do you see where that might cause one curiosity?" "Yes, of course I do. I realize it is curious. But, I cannot deny what mine own eyes see as plain as day. I know the hunt is of another time already past. But, it happens again and again. Why it happens again I cannot say. Perhaps there is a lesson to learn, something missed the first time." "Listen to me, Julia. I understand every word of what you tell me. I also believe that you see everything you say you see. That is not the problem. The problem is the danger to you from those who do not understand. There are those who would even end your life for their lack of understanding. There are those who think you are possessed of demons filling your head with these visions. They are afraid you will bring harm to them. They think you are evil and a threat to their safety and should be killed. Am I making myself clear?" "Yes. I hear you. It makes no sense to me, but I do hear what you say. What would you have me do, Trellitia? Shall I deny my existence and live a life that is a lie?" "Yes, child. That is what you must do if you want to survive. That is what you must do to protect your family and friends. Do you want to see Valerius fall to his death defending you? That is what will happen if it comes down to it. He will defend you, I know it. No matter what he is told about sense and level headedness, he will rush to your aid no matter the cost." "I will listen to your instructions, Trellitia. I believe you have my interests at heart. As long as there are those who I care for who know me as I truly am, I will try. How do I know what others see? When I look at a field and see what I see, how will I know what portion of that is seen by those who are viewing the same field?" "It is something we will have to learn together, you, me and Valerius. Your family will learn as well. The times become more treacherous, child. The scent of blood fills the air. There is a madness screaming from the darkness and many listen and seek its source." "I know of these things, even within a single soul there is darkness and light. It is a skirmish that goes on forever. I see the priest, Leopold, and know what he has been. I have anger for him before he even speaks. I have mistrust for those who smile upon him. How do I trust they who look upon him with kind eyes? This is the world I live and the only world I know. If there is another world that is not so demanding, I would seek it gladly." "There is such a world. It is a world we will seek together." "You are too kind, Trellitia. I'm not able to repay your kindness." "Child. I have sat in the darkness of my grief for more years than I care to count. A purpose to come into the light once again is a gift exceeding what small favor I do for a dear friend. Valerius walked into my home and brought a handful of stardust with him. He enchanted the old witch. She lives again." The old woman and the young woman smiled and considered each other. There was no gulf between them. Any gulf is easily breeched when the bridge is discovered. "Physician? Might you look at my daughter? She is… she is possessed they say. I took her to the church, but I became fearful. My faith wavered. I… heard stories and… " The woman seemed to Valerius little more than a child herself. Her child clung to her leg and seemed fearful. Valerius was not at all used to being thought of as a physician. I am but an apprentice. Their expectations exceed my skills. Still, I must… "Is this your daughter here?" "Yes. She is fearful. The priest treated her unkindly. He screamed and struck her… a madman… I… " She began to shake and sob and the little girl fell to the ground unmoving, her eyes staring wide open. "Ma'am, please. This only makes matters worse. You must find strength for your daughter. She will be lost without you." He knelt down to the little girl and put his hand on her shoulder. She recoiled and fell back on her hands and fixed a terrified gaze upon him. "It's okay, little one, I am a friend. I am Valerius. What is your name, child?" The little girl remained silent, but the sound of his voice seemed to bring her some solace. "She is Florentina, as was my mother. I am Lourdes. She seems to find favor in you." "Florentina, your mother worries about you. Did you find the great city not to your liking?" The little girl shuffled her feet and looked away for a moment. She spoke with a trembling voice. "It was all so big and the men were mean to me. They yelled in my ear and struck me for no reason. I did nothing wrong." "I see. Yes, the city was quite large. I was just there myself and pleased to return home to my small village. I'm sorry the men were unkind. I think that they were only trying to help you." He turned to Lourdes. "What behavior has caused you concern?" 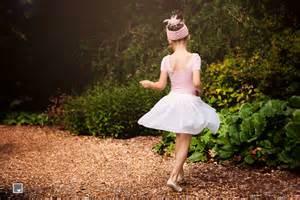 "She runs and dances with ghosts in the forest. She appears enchanted and is given to fits of laughter where no mirth is about. The priest says there is more than one demon inside of her. I was to return for more prayers and treatment… but she was so forlorn and frightened. I feared that the cure was of greater danger than the affliction. She is at ease with the village priest. I decided to take the matter to him. I fear I have jeopardized her soul." "No. Worry not. Priests are but men. Indeed they are men of great learning and conviction, but still men and not infallible. May I speak with Florentina? Perhaps an outsider might gain some insight. I am apprenticed to Gregorio in Constantinople, and mentored by Trellitia in my village. I am not unfamiliar with these issues." Lourdes smiled and attempted to contain her excitement. "That would be lovely and most kind of you. I'm not in a position to compensate you. I am a skilled seamstress and able to offer services in your household or even in the field if necessary… "
"I'm sure that won't be necessary. Let me converse with your daughter and see if I am able to find out anything of value." He smiled and her smile in return signified her consent. "Tell me about your friends in the forest. Do they live there all the time or do they meet you there to play?" "I don't know, sir. I am but a little girl. The world holds little to interest me. I find music in the forest and the music comes to life. It makes me spin and leap and sing… I don't know. It is all so dull with no one to play with. I wish for playmates and they are there. I wish with all my might." "You like music do you?" "Oh yes! I make up songs and sing them in the forest." "I see. Well, I like music too. May I sing one of your songs with you?" "Why yes. No one ever wanted… well, they found it foolish you see. I have one about the bear that hides in the cave." She proceeded to teach Valerius her little tune and together they sang it as they walked the trail towards their homes. I'm pleased with the direction this has taken. I hope you are too. The feedback has been wonderful and helpful as well. Any and all suggestions are listened to very seriously and are most appreciated. Julia- the current incarnation of Vision. Vision is one of the souls that we are following throughout time. Julia is considered mentally ill. She has recall of past lives in great detail and sees them unfold before her. Very unique. Valerius- the current incarnation of Sound. Sound is the other soul that we follow. In this lifetime he becomes a physician and is drawn to Julia. As soulmates they are always drawn to each other although they are unaware of their connection. Trellitia- A mentor to Valerius and sympathetic to Julia. The widow of the former village physician. Gregorio- Another mentor to Valerius. A well known physician in the great city of Constantinople. Rastavius- A mentor to Leopold and a leader of the church in the great city. Would kill a demon possessed person to free their souls and has done so. Very dangerous and influential over Leopold. The story takes place about 500 AD. It is the beginning of the Dark Ages right after the fall of Rome.